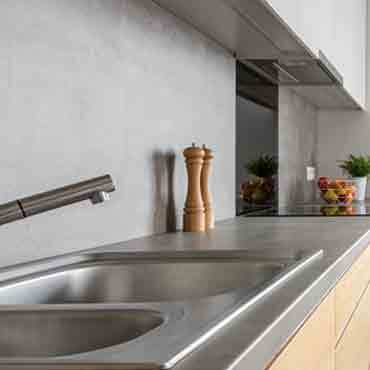 Concrete counter tops may be a good choice if you want unusual shapes, as they're often molded right in your kitchen. The high cost may be beyond most consumers' budget. Concrete counters tops look extraordinary and sometimes outlandish and can be color-tinted with additives that lessen porosity. They are abrasion and heat resistant and new treatments do away with cracking.